Professional, portable, adaptable, simple and web friendly eportfolio to address your Australian Professional Standards for Teachers. Illustration of Evidence! Perfect for 4th year Uni students to support your first job application. 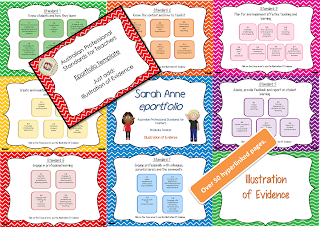 This template is designed, created and formatted for an instantly professional eportfolio showcasing your Illustration of Evidence. Over 50 hyperlinked editable pages included. 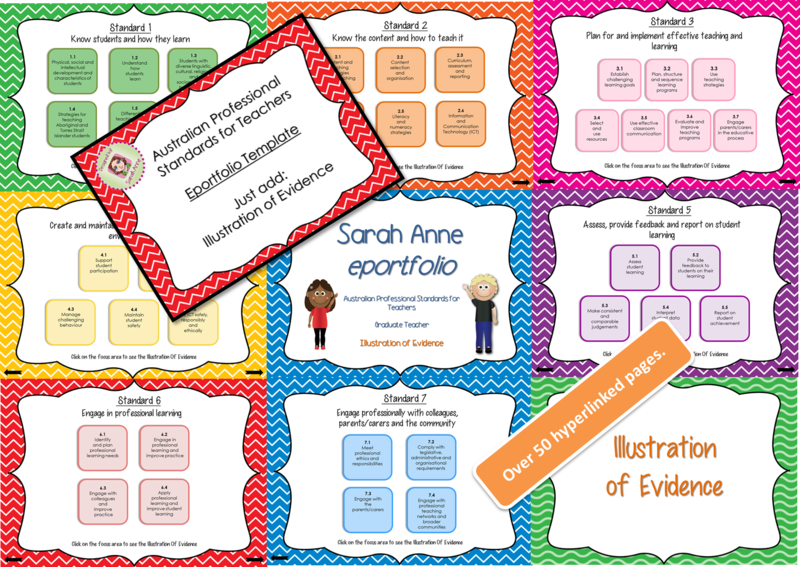 Seven Professional Teacher Standards pages, each designed and created for easy viewing of your Illustration of Evidence (hyperlinks are already built into the document). An individual page for each of the 37 Focus Areas. The pages are designed, formatted and linked to provide you with the opportunity to simply cut-and-paste your Illustration of Evidence into the document. You also have the capacity to add additional comments to each focus area by adding your own text boxes. Your end result will be a professional, portable, adaptable and web friendly eportfolio. - Is designed to allow constant editing as you move through the standards from Graduate to Lead Teacher. It also includes a guide to help you add your Illustration of Evidence.